Another school project for our compositing class. 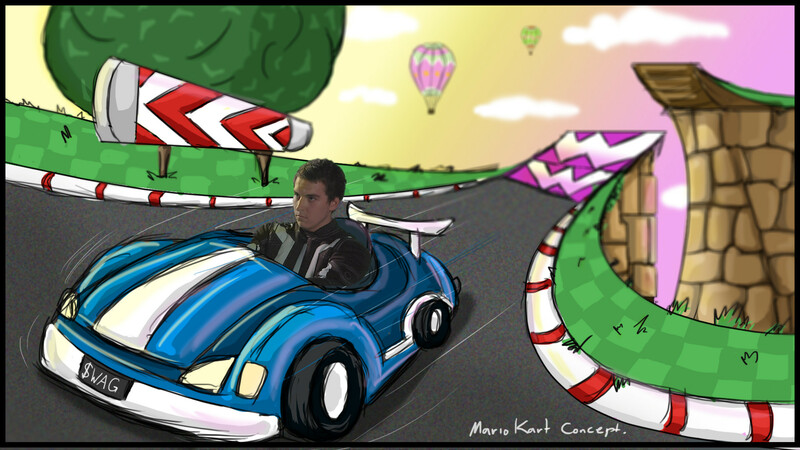 This one is a group project that we have chosen to be based on mario kart. I would be doing the animation and modeling of the Car and the terrain. Cody doing the majority of the modeling, compositing and Reuben for the texture, concept and talent for the Greenscreen. Here is the animatic we done as a group last term. Cody Roughly keying the talent out. Reuben doing the concepts and with me putting it all together in the previz. Now for the school assignment we decided as a group to only do only one scene from the animatic. The reason is to give all of us some breathing room to finish other works, in our one month left of the whole school year. This scene was chosen because there is alot of stuff happening with the use of the greenscreened footage and it still tells a bit of story. WIP with a test camera. 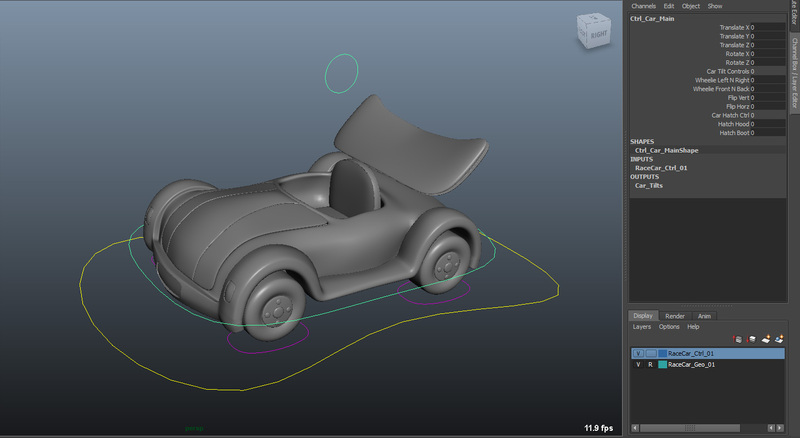 The car was modeled in modo and then rigged up in maya. 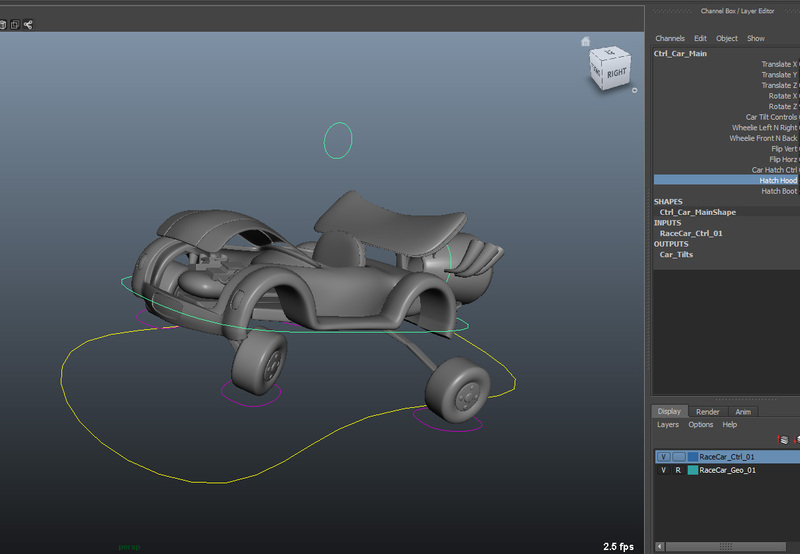 I will make a new post later going in depth on the car asset. From what you could see from the WIP video, the rig is really selling it.